In India’s Supreme Court, Jains have challenged a Rajasthan state high court order earlier this month that said "santhara," a Jain religious ritual of fasting to death, is tantamount to suicide and thus illegal. Sthanakvasi Jain Shravak Sangh, a Jain religious group, said in its petition filed to the Supreme Court on Tuesday that the ancient tradition of santhara is an integral part of Jainism, and that the “court cannot interfere” with its religious practice in a secular country. 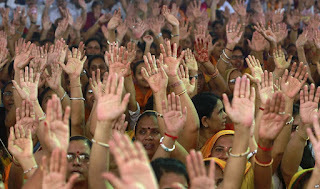 Tens of thousands of Jains on Monday took to streets across India, protesting the high court order. For many centuries, Jain monks as well as ordinary people have chosen to commit santhara - a spiritual way of fasting to death by giving up food and water, usually because of old age, when they feel their purpose in life has been served, or because they are terminally ill. While Jains claim that Santhara is the most ideal and satisfying mode to death, and they have a constitutional right to do it, many others argue the practice is nothing but suicide that many elderly Jains are forced into performing by their relatives and others. In 2006, activist Nikhil Soni filed a petition to the Rajasthan High Court that said santhara should be considered a form of suicide and thus be declared illegal. "The right to freedom of religion under Article 25 [of the constitution] is subject to public order, morality and health. A practice, however ancient, cannot be allowed to violate the right to life of an individual," the petition argued. It also alleged that many Jain families were coercing the elderly into dying because they were considered a burden or to grab their properties through inheritance. On August 10, the High Court declared santhara illegal by noting that the Jains had failed to establish the act as an essential religious practice. It also said those who encourage someone to commit santhara will be charged with abetting suicide, and will face up to 10 years in jail, and, anyone attempting to commit santhara will be subject to a punishment of one year in jail. 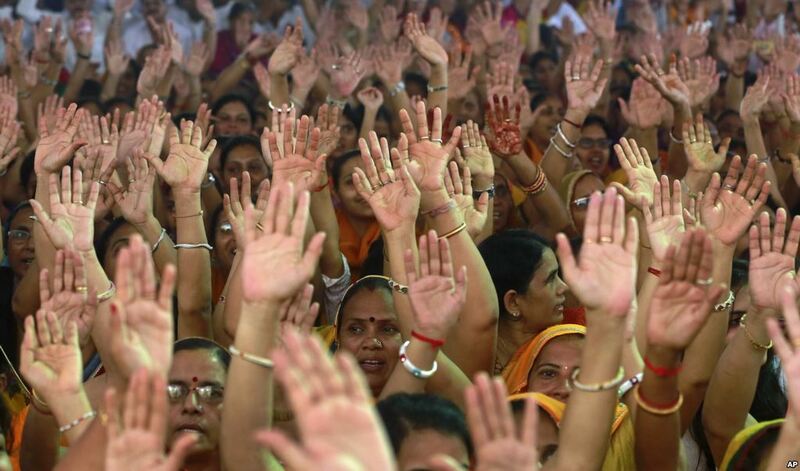 Jains across the country have risen in protest, defending what they call a “holy tradition” for them. Anil Jain, New Delhi-based national secretary of Akhil Bharatbarsiya Digambar Jain Parishad - a Jain religious body - said the High Court should have consulted Jain religious leaders about the significance of santhara before delivering its verdict. “Unlike suicide, which is usually done impulsively, driven by frustration or depression, santhara is a conscious and voluntary decision to embrace death by a person in his or her sane mind. Santhara is a spiritual means to salvation. Equating santhara to suicide is incorrect,” he said. However, many experts said that from a legal point of view the High Court order is correct. “The right to life guaranteed under Article 21 of the Constitution of India does not recognize voluntarily bringing an end to one's life. Right to bring an end to one's life is also not a part of religious right. Even if we construe it as a religious right, as per Article 25 it should yield to public order and morality. Santhara cannot be termed as moral,” A. Sirajudeen, a Madras High Court lawyer and author of many law books, said to VOA. According to an estimate by a Jain group in Mumbai, around 450 santharas took place in India annually over the past six years. Babu Lal Jain, a leader of the group, said there has been a significant drop in the number of registered santharas in recent months. Until and unless the Supreme Court overrules the Rajasthan High Court order, most of the santharas will remain hidden now, he said.